Growing up in the mountains of southwest Virginia, I was forced by my daddy to listen to country music. Well, I suppose he didn’t force me. I could ‘a gone outside to play, but when he was home, I ‘spect I hung out with him a lot. 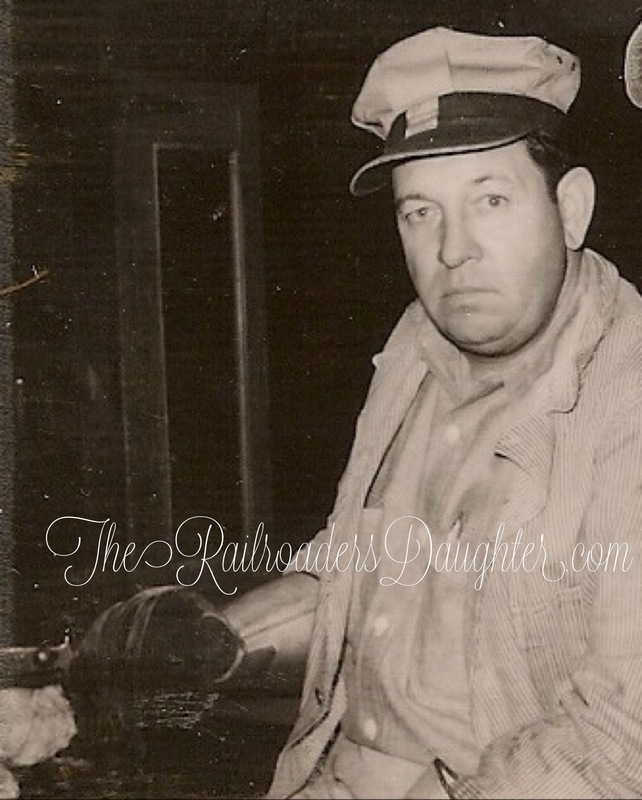 He was gone so much workin’ on the railroad, and when he wasn’t gone workin’ on the railroad, he was gone drinkin’. But when he was around, he listened to country music on the only television station that we could pick up, way out there on 460. Now his music was not like what you see on the Country Music Award Show today. Daddy’s favorite was pure heart-breakin’ back woods mountain music. He would watch the Porter Wagoner Show when Porter had all the bling of a modern day rapper. Standing on the Grand Ole Opry stage, Porter showed off his glitterery wagon-wheel covered jacket and sang along side the big-haired blonde, Dolly Pardon. They sang that ole “cryin’ in yer beer” type music until it would make my tender ears bleed in agony. Whispering Bill Anderson, Little Jimmy Dickens, and the local guy, Cecil Surrett were talented men to my daddy. There was even a band of young fellows that my brother sarcastically referred to as SALVATION. I think that was because they always sang that salvation song and whined the notes right through their nose. My daddy loved those twangy songs. With all that said, you understand that I have very little use for my dad’s country music. Strangely enough, when I hear those familiar instruments of mountain music, I long to go back. Back to Virginia. Back to a time when I didn’t know anything but that. I am transported to places where people put a smile on my face and warm fuzzies in my heart. I am drawn to the mountains where I was born and raised. Mom always said that I ‘got above my raisin’ and maybe I did in some ways. But I am always proud of where I came from. That is what makes me who I am. In my continued search for family history, I’m starting another journey tomorrow, back to the mountains. Excitement is building as I anticipate visiting Mom, driving around those winding creek bed roads and meeting more cousins that I never knew before. As we chat about our ancestors and visit even more cemeteries, I feel a closer bond to my parents and grandparents and even the valley underneath East River Mountain where I was born. I’ll try to post along the way, so watch for more pictures, adventures and family ties, and pray that I find some snake boots somewhere to protect myself from those slithering rattlesnakes as they lay sunnin’. Hopefully they won’t mind if I interrupt their solitude, just for a moment. Perlina Belle Gregory (b. 1871), my 1st cousin, 3x removed, married Thomas L. Shufflebarger in Bland County, VA. Perlina was one of ten children born to Thompson Edward Gregory and Martha J. Steele. Thomas was the son of Newton and Ann Shufflebarger. Perlina and Thom had six children. 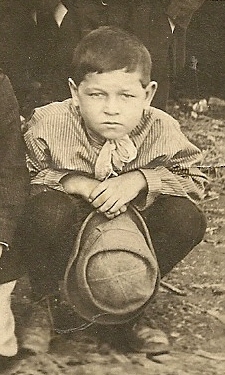 My great granduncle, Hugh C. Davis was one of fifteen children born to Thomas Jefferson and Sarah Ann (Combs) Davis. See February posts for siblings. Hugh’s mother was thought to be a full blooded Indian, but I have found no definitive documentation. Hugh married Mary Casly Strouth on April 13, 1892 in Russell County, VA.
My 1st cousin, 2x removed Violet Brooks, was one of eleven chidren born to Benjamin and Haley Victoria (Thacker) Brooks. See previous posts for siblings. Violet married Carson Smith and they had four children.